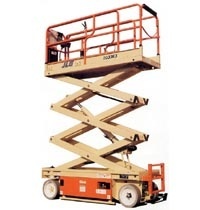 Did You Know Bahrns ToyotaLift of Illinois Sells Scissor Lifts? For the past forty-five years, our valued customers have been turning to Bahrns ToyotaLift for their forklift needs. We want you to know we have so much more to offer! 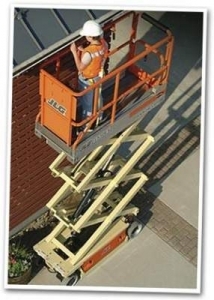 Bahrns offers a full array of heavy equipment including an impressive assortment of JLG, Genie, and Skyjack Scissor Lifts, which are comparable to boom lifts, only the platforms raise primarily vertically. We offer new and used units that will fit into your budget and exponentially increase productivity. They come with platforms that raise as high as fifty feet and some have an option to expand horizontally up to six feet. 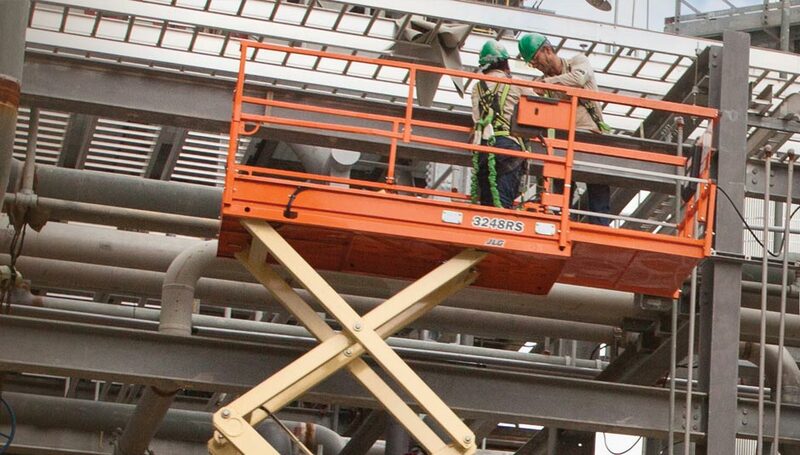 Why We Choose JLG, Genie or Skyjack? Rather than throwing a hundred brand names at our customers in an attempt to be flashy, Bahrns ToyotaLift of Central and Southern Illinois keeps it simple. From our experience, JLG, Genie, and Skyjack are the three most reliable, trustworthy and dependable companies we have come across. All of their units excel in mobility and maneuverability, making them perfect for those tight work sites. Their rough terrain versions are great for outdoor jobs because of their first class traction and speed. Rough terrains are ideal for those jobs that demand more space to work and a larger lifting capacity than a boom lift can offer. Our Staff Knows Their Equipment! If selecting just one out of our vast selection, know that we at Bahrns are here to help. It's a guarantee that any of the scissor lifts sold at Bahrns Toyotalift are going to increase productivity and carry out the most demanding of construction duties. Our prices are competitive and we invite you to compare prices, warranties and service to any other southern and central Illinois heavy equipment dealer. We are dedicated to upholding our outstanding levels of quality service and equipment and professionalism that you've not only come to expect, but that our valued customers deserve.